Wild card weekend is in the books, and we are on to round two of the NFL Playoffs as the divisional round gets underway on Saturday. Giant matchups loom large this weekend, as the final four teams from each conference vie for a spot in next weekend's conference championship showdowns. 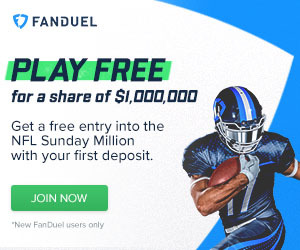 While standard fantasy leagues have been in the books for at least a couple of weeks, those still entrenched in the daily formats over at FanDuel and DraftKings will surely be keeping an eye on the key injuries leading up to this weekend's action. Fear not, we've got you covered with this week's injury roundup as week 19, in essence, gets going tomorrow afternoon. Packers QB Aaron Rodgers (Probable, calf) will be good to go for Sunday's bout with the Cowboys at Lambeau. Rodgers has been nursing this injury for a few weeks now, and was visibly hampered during his team's season-ending victories over Tampa Bay and Detroit. However, he will be on the field to face Dallas, and coach Mike McCarthy insists that the Pack's scheme will not have to be chopped and changed too much to accommodate Rodgers. It stands to reason that Green Bay could turn to more shotgun or pistol snaps as opposed to traditional under center looks which will put added pressure on his injury during dropbacks. Nevertheless, Green Bay still has a running game to consider, and Eddie Lacy will be primed for a big game against Dallas. If the 31-year-old is forced to exit the game, Matt Flynn will be on standby. Flynn helped spark an unforgettable 23-point rally to beat the Cowboys in Dallas late last season while Rodgers nursed a collarbone injury. The Patriots, as they usually do, have some key injury question marks in advance of Saturday's divisional showdown with the Baltimore Ravens. Deciphering just how much of this is genuine and how much is a byproduct of your typical Belichickian injury report fun time is always tough, but alas, we'll do our best. Julian Edelman falls into the genuine category, having been limited most of this week due to the concussion he sustained ahead of week 16. Edelman missed the Pats' last two regular season games, though there is a strong belief that he will be available to face the Ravens. Edelman's fellow wideout Brandon LaFell (Questionable, toe/shoulder) is another injury concern, though the 28-year-old, who has enjoyed a career year in Foxboro, will be available this weekend. LaFell has battled minor ailments all year, and has yet to miss a game. Given the team's wild card round bye last weekend, LaFell should be as healthy as he has been all year to date and will be a good bet to see plenty of targets behind Edelman and Rob Gronkowski. With Baltimore likely to try and minimize Gronk's impact by deploying safety Will Hill in coverage, LaFell will be as valuable as ever to Tom Brady and New England's passing attack. RB Jonas Gray (Questionable, ankle) should play, but will be stuck in a timeshare with the likes of LeGarrette Blount and Brandon Bolden. Julian Edelman (concussion) is expected to play this weekend. As for the Patriots' divisional round opponents, Baltimore, RB Justin Forsett (ankle) should be ready to go. Forsett was a question mark in the build up to last weekend's wild card win over Pittsburgh, but was ineffective throughout the game, gaining just 36 yards across 16 carries while also losing a fumble. He will have a better matchup this weekend, though it is likely that Bernard Pierce will remain involved. Pierce scored a touchdown against the Steelers last week and looms as a potential vulture to Forsett's short yardage and goal line work. WR Philly Brown (shoulder) is a question mark for the Panthers as Carolina prepares to battle the defending champion Seahawks in Seattle on Saturday. Brown has emerged from relative obscurity into one of QB Cam Newton's most trusted targets. The 23-year-old was injured during the Panthers' wild card win over Arizona last weekend, and hopes to be available for the trip to Seattle. Brown was the recipient of a team-high six targets before being forced from the game against Arizona. If he can not go, Brenton Bursin will take his place in three-wide sets. His potential absence would also mean more targets for Kelvin Benjamin and Greg Olsen. After a rough outing in Pittsburgh during the wild card round, Justin Forsett hopes to bounce back against New England. Seahawks TE Tony Moeaki (Questionable, calf) is a legitimate game-time decision for the defending champs as they prepare to host Carolina. Moeaki has taken a back seat to Luke Willson, but his presence would give Russell Wilson another experienced target man to look to, particularly in the red zone. Moeaki's skills speak volumes, but his inability to stay fit has capped his on-field contributions since his days as a Kansas City Chief. If he does play, he'll be a touchdown-dependent flier. Be sure to check back with us at Fantasy Knuckleheads for all of the latest injury updates in advance of this weekend's divisional playoff action. Good luck to all!